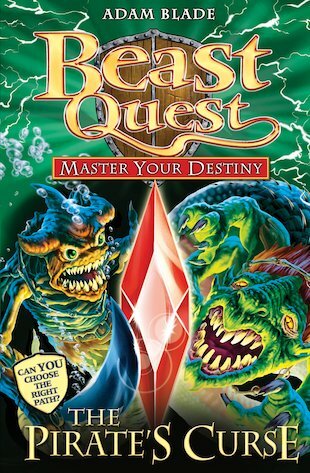 Join Tom and his companions on a brand new Beast Quest, in a book where you are the hero and your decisions determine the outcome. Will you win the battle against a terrible pirate curse? Sanpao the Pirate King has returned, and is preparing to terrorise Avantia with two terrifying Beasts: Polkai the Shark Man and Dredda the Tunnelling Menace. You must make quick and smart decisions if you are to avoid total disaster! Will you choose the right path? I liked reading this book because it has a lot of baby adjectives and yucky adverbs. HAAAAAAAAAAAAAAAAAAAAAAAAAAAAAAAAAH!!!!!!!! i love fantasy books. i never read it but i might try!